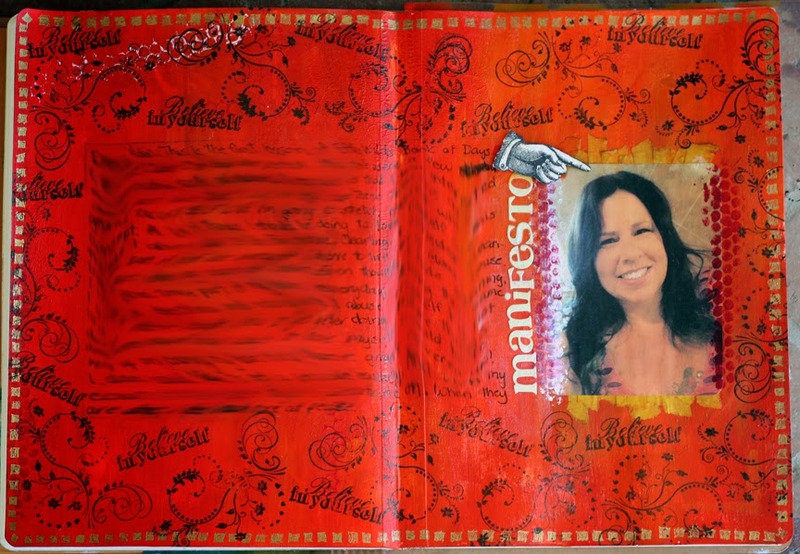 This week, I did another art journal page. This lesson was taken from Effy Wild's Book of Days class. The top and bottom border is made with strips of masking tape. 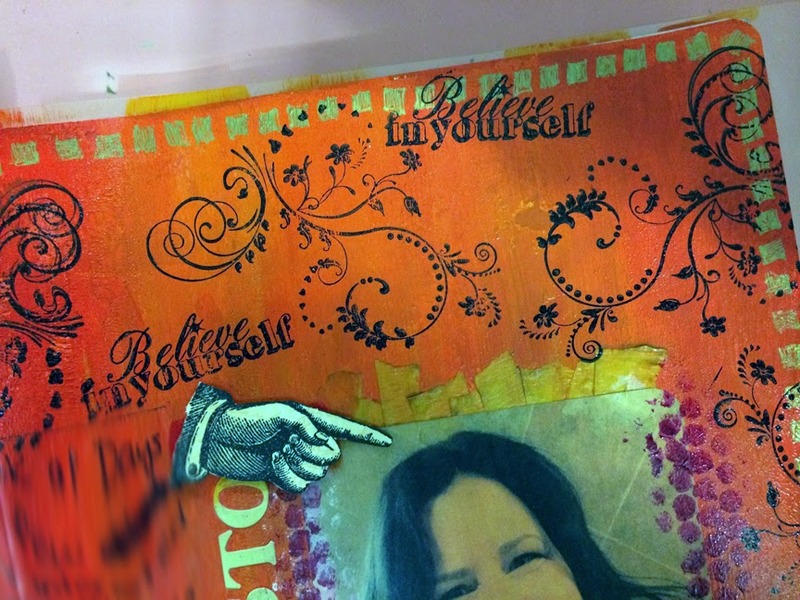 The masking tape lays underneath a selfie that is printed on simple copy paper. 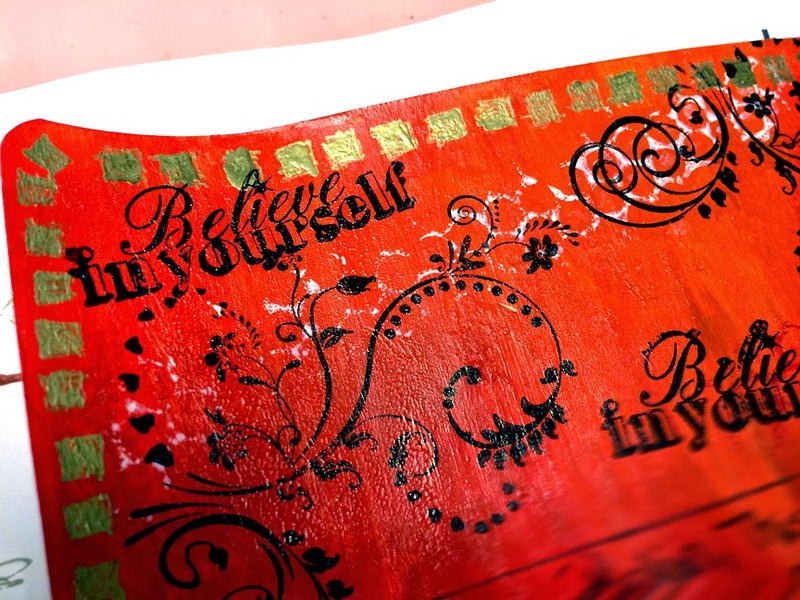 then turned the Punchinella over and stamped with it around my art journal page. I doodled, with a gold metallic pen, little squares to frame the entire layout. 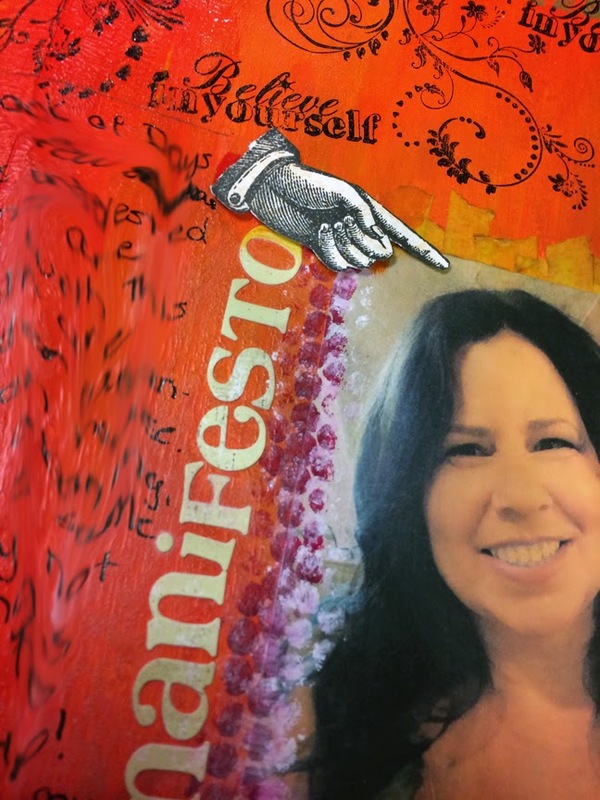 I stamped the swirl from the Art Journaling with Terri Sproul 2 stamp set, and the Believe in Yourself from the Fairies & Blossoms stamp set. And I just love the pointing finger from the Classic Spark stamp set. I hope I've inspired you to create something today. 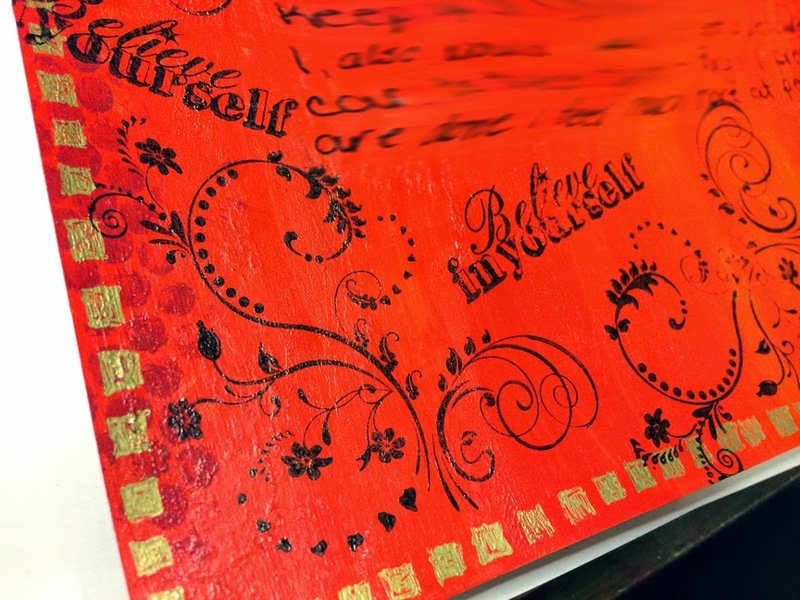 Love the deep red color and all the stamping around the borders on your journal pages. Terrific! I like it very much!!! Love it.